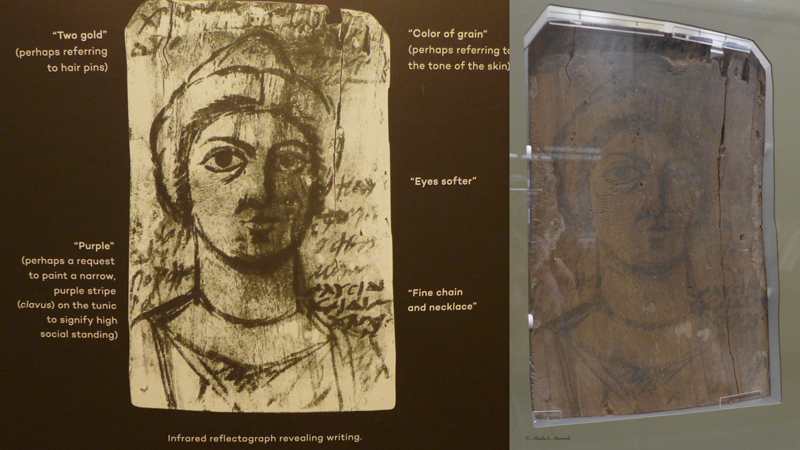 Last month I visited the Block Museum and got to see my first Fayum portrait up close and personal. Anyone starting out in encaustics learns about these fascinating portraits. 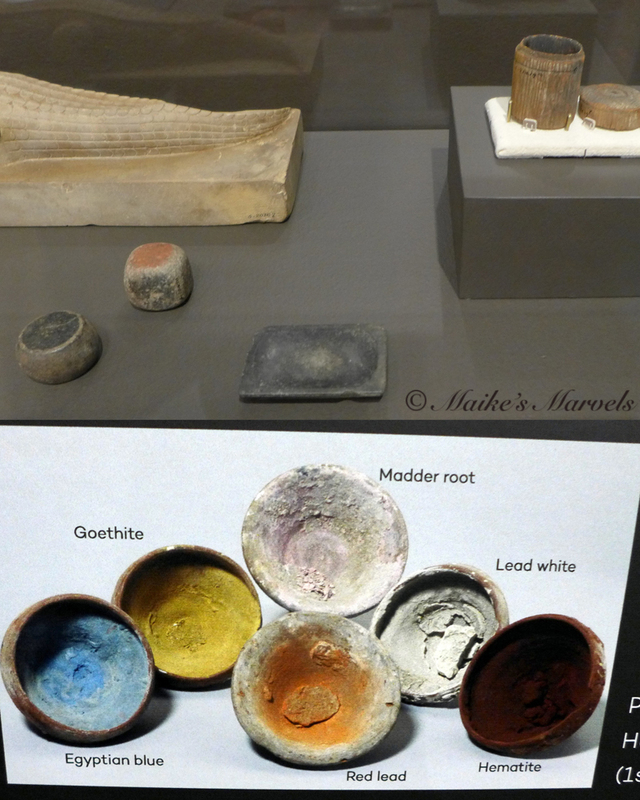 Discovered in the Fayum basin, the busts of men and women were discovered on mummies, and the most well-preserved were found to be created with the encaustic painting technique, a blend of pigment and beeswax. 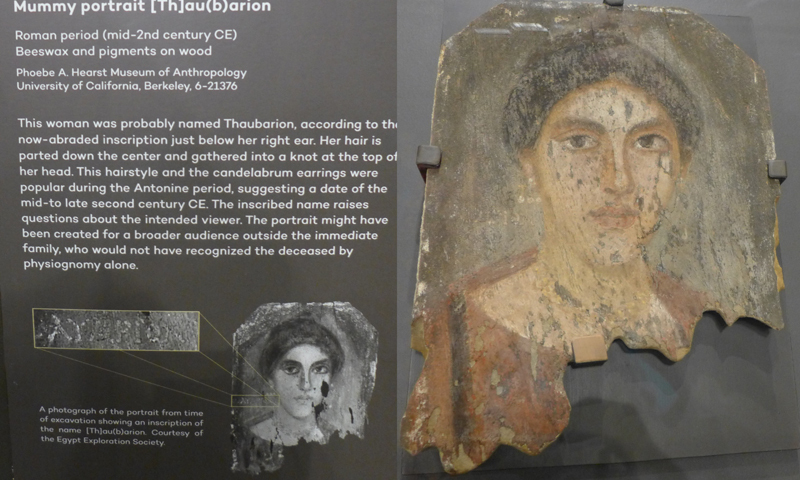 So after seeing those images in books and online, I was thrilled to learn of the exhibit: “Paint the Eyes Softer: Mummy Portraits from Roman Egypt.” This exhibit showcases several mummy portraits, along with comprehensive timelines that help create a sense of age and location of these finds. The Block Museum of Art and the McCormick School of Engineering at Northwestern University combine the art and science of ancient artifacts in this exhibit. The majority of the objects were excavated from the site of Tebtunis (now Umm-el-Breigat, Egypt). They are loans from the Phoebe A. Hearst Museum of Anthropology at the University of California, Berkeley. These paintings have been the focus of a systematic study conducted by NU­ACCESS (Northwestern University/Art Institute of Chicago Center for Scientific Studies in the Arts) and UC Berkeley using a variety of imaging techniques. I enjoyed examining the paintings and seeing how thin the layers were in comparison to how current encaustic portraits artists use the medium. The brush strokes are so detailed, and I am still intrigued by how this was accomplished without the heating tools we use today. 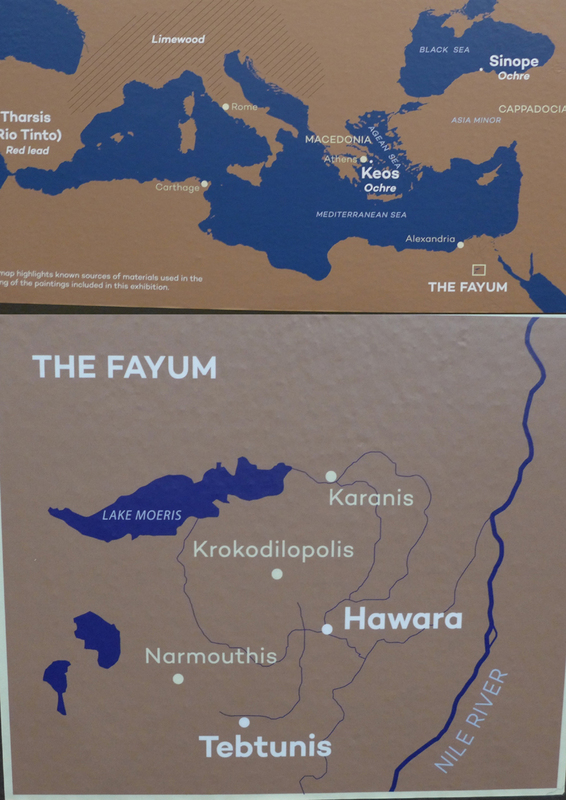 The exhibit combines various disciplines across the university: classics, art history, sound design, materials science, medicine, archeology, art history and molecular biology. A sketch on the back of a panel inspired the title of the exhibit. 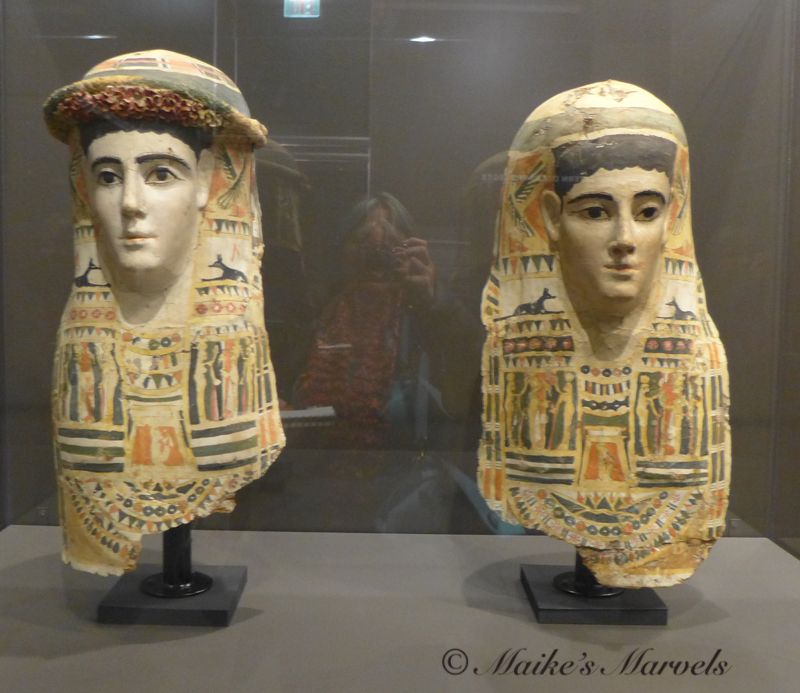 The highlight of the exhibit is an intact mummy: the Hibbard mummy or Hawara Portrait Mummy No. 4. This complete mummy of a young, 5-year-old girl is from the collection of Northwestern’s Garrett-Evangelical Theological Seminary. 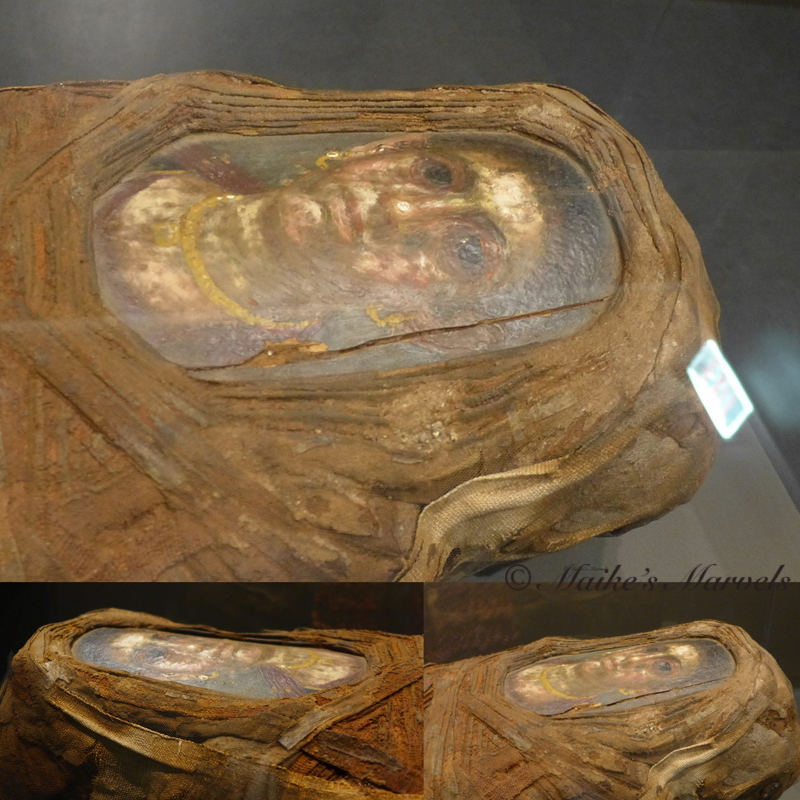 It has a portrait embedded in its wrappings and comes from the site of Hawara, a site close to Tebtunis in the Fayum region of Egypt. 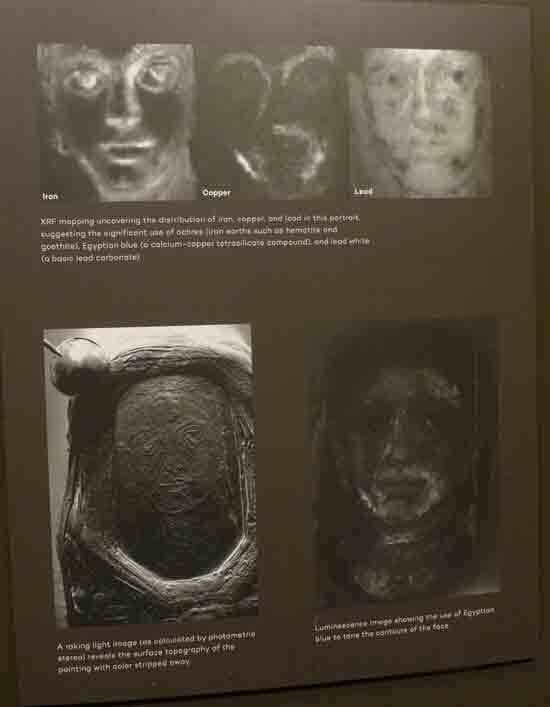 The Northwestern University Feinberg School of Medicine ran a CT scan of the Hibbard mummy and those findings are on display at the exhibit. “Paint the Eyes Softer: Mummy Portraits from Roman Egypt” is on view until April 22, 2018. The exhibition is organized by the Block Museum of Art at Northwestern University in collaboration with the McCormick School of Engineering, Weinberg College of Arts and Sciences and Feinberg School of Medicine. Admission to the Block Museum is free. Their hours are Tuesday, Saturday, Sunday 10 a.m. – 5 p.m., Wednesday, Thursday, Friday 10 a.m. – 8p.m. Closed Monday. 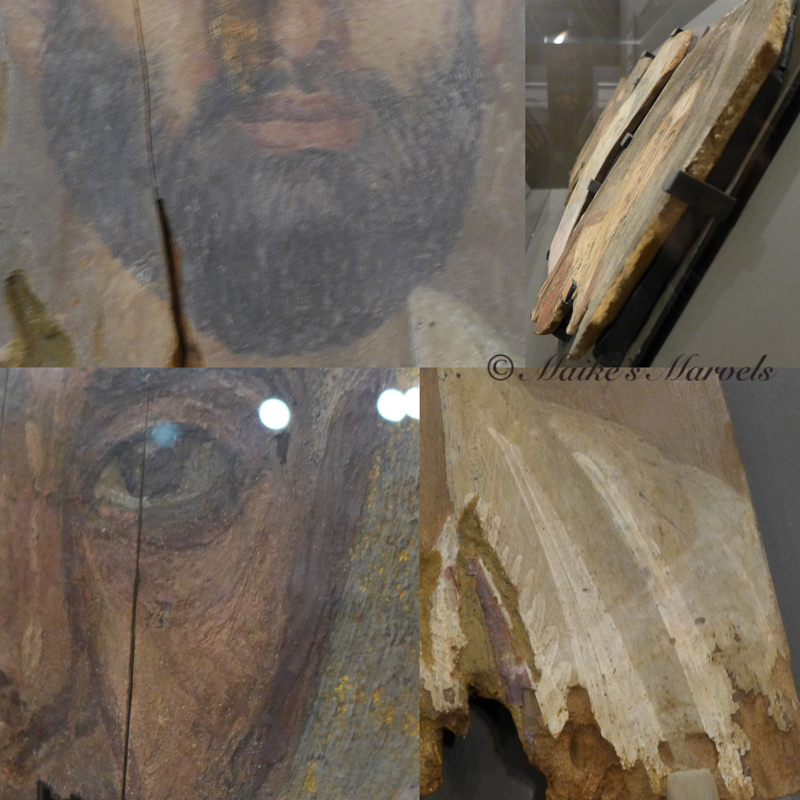 This entry was posted in Art & Culture and tagged ancient egyptian painting, beeswax painting, beeswax portrait, Block Museum, encaustic painting, encaustic portrait, Fayum Portrait, Hawara Portrait Mummy No. 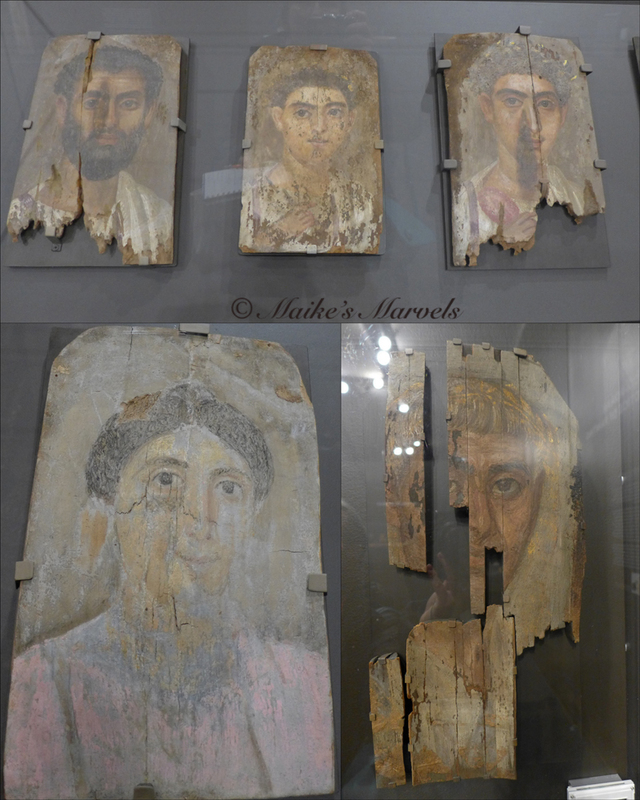 4, Hibbard mummy, mummy portraits, Northwestern University, NU­ACCESS, Paint the Eyes Softer, Paint the Eyes Softer-Mummy Portraits from Roman Egypt, Tibtunis Portrait.